This Crazy Life...Michelle Underwood Designs: What to get for the picky man in your life! What to get for the picky man in your life! Christmas is coming! It's time to shop! Do you have a man that's impossible to shop for? I just recently received a product to review that I think is PERFECT for the man in your life! 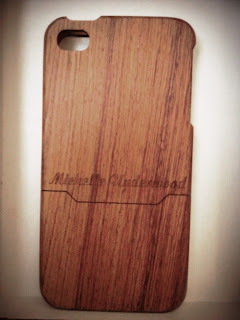 How about a REAL wood iphone case from MAKEDIRECT.COM! I am so loving this! There are many designs, or you can just get a plain one with his name engraved on it! Now...this is awesome for the phone!How cool! Art by Kristi Giveaway! 2 Winners! Elizabeth Ann Art Giveaway! 2 Winners!